All Richmond-area Kroger stores will phase out single-use bags by 2025. 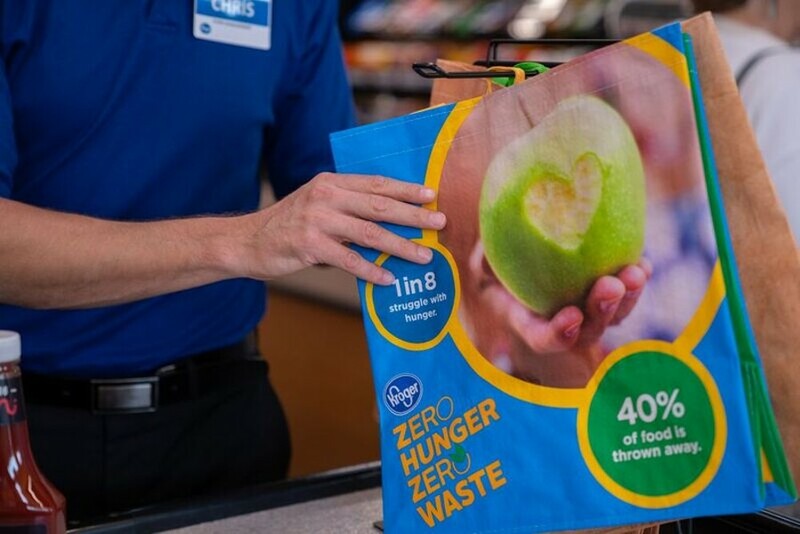 As part of its Zero Hunger, Zero Waste commitment, Kroger plans to eliminate single-use plastic bags from its stores by the year 2025. “It’s a bold move that will better protect our planet for future generations," says Kroger's chairman and chief executive, Rodney McMullen. According to a news release, estimates suggest that 100 billion single-use plastic bags are thrown away in the U.S. every year, and less than 5 percent of plastic bags are recycled annually. The grocery chain will "work with NGOs and community partners to ensure a responsible transition." The Zero Hunger, Zero Waste initiative also includes a goal to divert 90 percent of waste from landfills by 2020, and an ongoing effort to send nutritious foods to local food banks and pantries.